I am firmly in the midst of the winter blues. Tired of being indoors but, oh my, it is cold outside..and snowy..and windy...and did I mention cold? I've had a few too many days of having to use a hatchet to 'chop' chunks of ice for the chickens to have water...only to have my work gloves freeze to the watering can. Of course, it won't and March is just around the corner and soon it will be time to tap the maple trees and look for the first brave snowdrop or crocus to break the cover of the snow but the past couple of weeks have been difficult. Very soon, we will be able to open the windows for that freshness that we crave in our home and start Spring cleaning but I realize that, right now, I need something to look forward to. I started a Crochet A Long (CAL) and a Knit A Long (KAL) with Yarnspirations and those weekly clues are giving me something to look forward to plus I'm learning some new skills along the way. I finally learned to knit a cable pattern! I made sure to choose bright, sunny colors to work with and it is helping to lift my spirits. This is a perfect time to re-evaluate your routines and responsibilities too. When Spring comes, there will be little time for things other than work, gardening and caring for the family and the animals so how can I change up my routines a bit? I opened my email today and saw that I had over 2500 unread messages. I am way past due with weeding out those notifications and newsletters that I rarely find time to read anyway. Pare down that list to a manageable level to get ready for the demands on your time in the coming season. I also realized that I belong to 108 Facebook groups! Time to cut that list down too. I do enjoy many of those groups but I was able to cut it down by half. I'll set an appointment for myself to re-evaluate next week too to see if I can cut it down even more. The goal is to belong to a group to PARTICIPATE not just read everyone else's posts. Start a project you look forward to working on and learn a new skill too. Evaluate your electronic communications. Can you cut down on the number of emails you receive a day or the number of Facebook notifications? 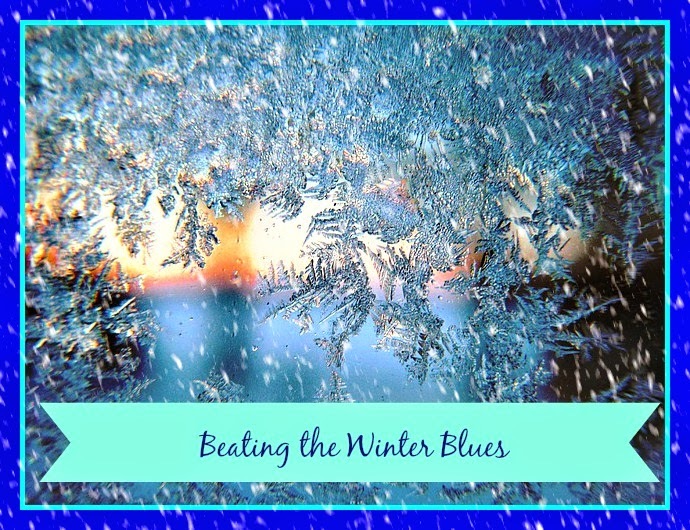 I hope you will share in the comments some of your tips for getting through these next few weeks of winter. I look forward to having your help. Let's all inspire and support each other! When you give someone a book, you don't give him just paper, ink and glue. You give him the possibility of a whole new life. Welcome to week 13 of our journey to Make Every Monday Matter. I'm so glad you stopped by! The task for this week is to donate books. I love, love, love to read and have shelves full of books - ones that I want to read over and over, others that have useful information and others still waiting to be read - but honestly, more books than I need. I was shocked to read in Every Monday Matters that 61% of low-income households have no books in the home. Another statistic quoted is that, in low-income neighborhoods, there is only one age-appropriate book per every 300 children. As someone who has always been surrounded by books, I can scarcely comprehend this. Often these same neighborhoods have no access to libraries. Time to make a difference and take action TODAY! Gather together those books that you will never read again or likely never get around to reading and get them in the hands of others. Books can be donated to local libraries, schools, community centers, food banks and local pre-schools. When I was a director of several counties of Head Start programs, I welcomed every single book donation with joy! Children's books are wonderful but also books for the parents are welcome too. My very favorite part of the day is when the kitchen is closed and I've done all the chores I'm going to do, there are no more work emails to answer and the children are settled in for the night. I get to open whichever book I'm currently reading and enter a whole new world - whether fictional or filling my mind with new knowledge. I love that part of my day. Sort through your books and pull out books to donate. Pack those books in a box. Choose a destination for the books. Understand that you may never know the difference you make in the day for the one that will receive a book but know that you Made Monday Matter! Having access to books is the first step to literacy. Literacy promotes choices. Choices gives us power to change our lives. 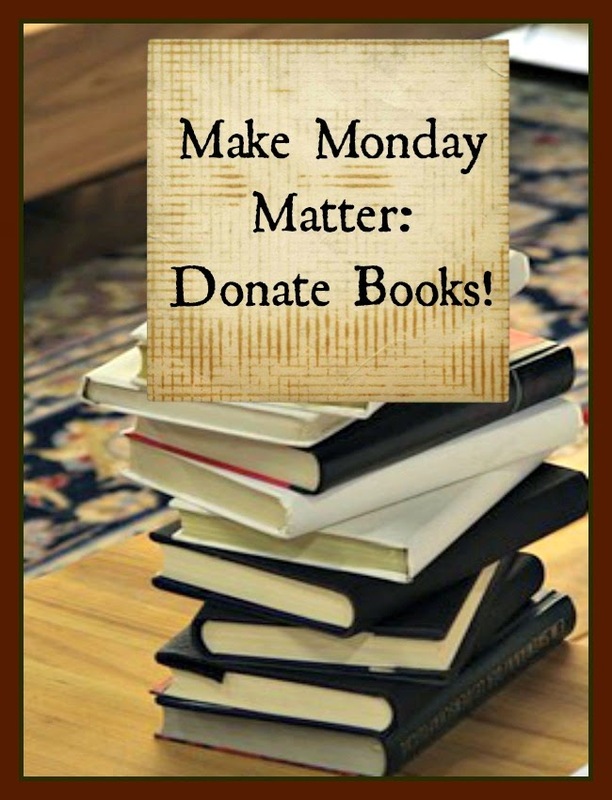 So let's all donate a book and change a life this Monday. It has been quite a long week....in fact, I received my Homegrown Collective GREENBOX several days ago and only got it opened today. I was happy to see that the collection is all about natural alternatives to commercial shampoo and hair care. In my quest to make more of my own personal care products, shampoo was one item I wasn't quite sure how to handle but I learned so much from this month's products! I learned that an easy alternative to shampoo is to mix one part baking soda with 3 parts water and use that instead of shampoo. It does not lather up like you are used to but I tried it this morning and am quite happy with the result. If you are going to clean your hair with baking soda, you must follow up with the vinegar rinse to balance the pH of your hair. The vinegar rinse is 1 part apple cider vinegar to 4 parts water. Saturate your hair with the rinse after the baking soda wash and then rinse out. You can add essential oils too if you like. My hair is soft and shiny and easy to manage without the static that I can get this time of year. So far, so good! I remember that my mother always rinsed our hair with vinegar when we were children. In fact, she credits it with helping us avoid head lice during a particularly difficult outbreak at our school. It was so widespread that the school closed for several days to break the cycle. Even though all four of us (myself and my sisters) had very long hair, none of us ever did get lice. I'm not sure if it was the vinegar or my mother's diligence that helped us avoid it but it worked! Here is the question I know you will ask: Won't my hair smell like salad dressing? LOL....when your hair dries, the vinegar smell does not linger...I promise! In fact, my hair doesn't smell like anything except for clean. Other items in this month's box include coconut oil as a deep hair conditioner and also supplies to make dry shampoo. I've never really been a fan of dry shampoo but it has been many years since I tried it so I may give it another whirl. The recipe included in the GREENBOX uses corn starch, essential oils and cocoa for dark hair or cinnamon for red. Another recipe included is a Rosemary, Lavender, Lemon Rinse with Apple Cider Vinegar. I'm really looking forward to using this one too. The box is really wonderful...it includes the jars for mixing and a pump bottle that makes it easy to keep in the shower. Commercial shampoo and conditioners are full of chemicals that aren't really very good for your hair or your scalp and yet we lay down quite a bit of cash for the head full of suds that we think we need to get clear hair. I was absolutely surprised with how clean my hair feels after the baking soda wash and vinegar rinse. I'll definitely continue to use it and cross that shampoo off my shopping list in favor of the natural and less expensive alternatives. I hope you consider it too. Thanks so much for joining me today. Life certainly got busy this week but I should be back on track now and will be back tomorrow to Make Monday Matter...hope to see you then! On this blog, we plan for emergencies. We've talked about food and water storage and also plans to stay warm in a power outage. Now we are going to review having a back up lighting plan. Stop and consider how long it is dark on these February nights. Around here it gets dark enough to need a light on in the house around 6:00 pm and in the morning, the lights are on until after 7:00 am. That's eleven hours of darkness. If you lost power today, how would you spend those eleven hours? Probably around eight would be spent sleeping but, without a doubt, you would want some source of light to get through the emergency. What is your plan? Power outages in winter storms can often last a week or more. Let's plan accordingly for a longer-term solution. Candles are an obvious choice but there are at least two drawbacks. The first is that the open flame is dangerous. The second is that it is difficult to read by candlelight. Have you ever tried it? When you are accustomed to reading by electric light, candlelight reading seems dim and the flickering of the light distracting - at least it is for me. Kerosene lanterns are another option but still have the fire hazard and the drawback of the smell which I intensely dislike. My very favorite solution is to use solar lights, flashlights and headlamps. The headlamp may look silly but is really useful as a hands-free option for reading and walking around in the dark. Have some on hand and store them in a sunny spot and you will have night-time light whenever you need it. In fact, why not go ahead and replace some of your regular lights with solar versions before a power outage and save money on your electric bill month after month? There are many tutorials out on Pinterest for solar lights. Get out there are learn to build your own to increase your emergency preparedness. Your level of preparedness can make the difference between a disaster that tears your family apart or an event that is fondly remembered as a great family time together. Which would you rather experience? Thank you so much for stopping by for a visit today. 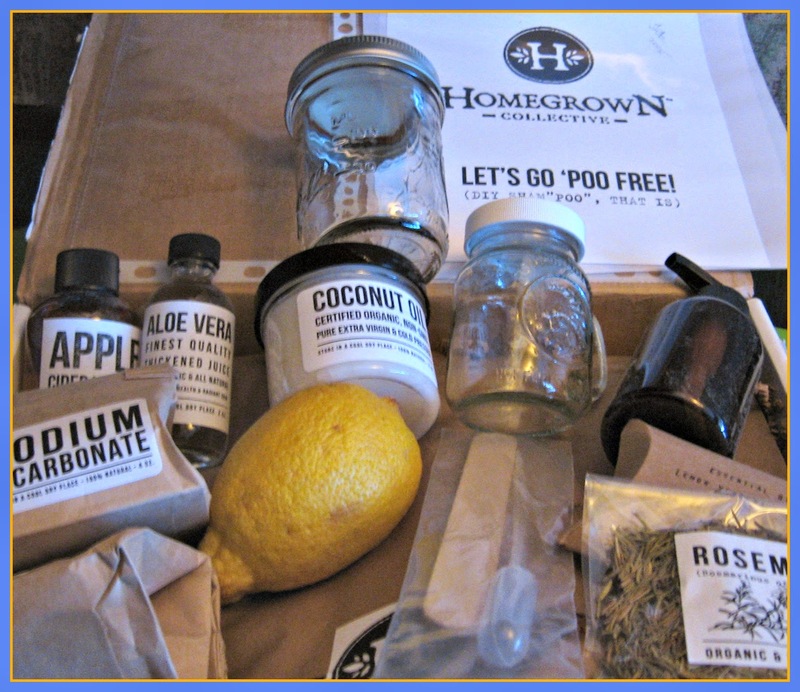 Tomorrow's post will be a review of the February GREENBOX from Homegrown Collective - it has a great collection of ideas for DIY Shampoo. I hope to see you then! Make Monday Matter and Celebrate with a Purpose! Happy Monday! I'm so glad you are here. This is week 12 of Make Every Monday Matter and the topic is to Celebrate With A Purpose! There are large things to celebrate like birthdays and anniversaries but there are little things too. How about celebrating a small thing like finishing a book you wanted to read or that all the laundry is done and the dirty clothes hamper is empty! Celebration is a state of mind and it doesn't always have to include gifts. A celebratory shout of joy and a little dance around your kitchen is so much fun and will lift your spirits without all the stress of planning a party. What everyday things can you find to celebrate and how can you spontaneously express that happy state of being? I would love to hear in the comments! How about rethinking those big celebrations? Worldwide there are millions of birthdays every day. Some are elaborately celebrated and others quietly so. One thing that is always difficult for me at this age is when my family asks me what I want for my birthday. I pretty much have what I need and only occasionally really find something I want to own. I do love new experiences or classes to learn new things but those things are hard to wrap up and give as a gift. It seems everyone still wants to give a "real" gift that can be purchased and wrapped and given. Every Monday Matters suggests taking a different approach to celebration...in other words to "party with a purpose" (Week 12). The suggested action is to ask for a donation to a favorite charity in lieu of gifts. Theme the party around the charity and provide everyone with the information needed to make a donation. For donations to a food bank, ask guests to bring canned goods and a little something to add to a soup meal for your own version of the Stone Soup story. For donations to an organization that helps families start small agricultural businesses (for example: Heifer International), arrange a tour of a local farm to get up close with some animals like chickens, cows and goats. For donations of school supplies to schools where children need them, ask guests to bring scrap-booking supplies to use and share with each other AND brings a pack of pencils, crayons, notebooks, etc. to donate to a local school. 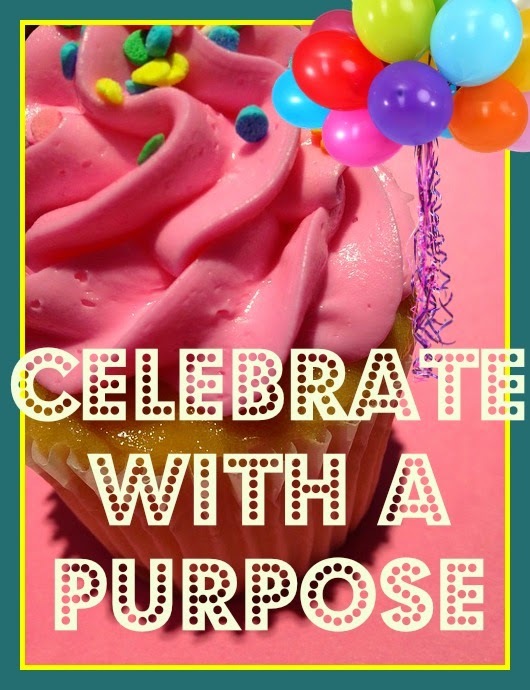 What celebrate with a purpose party idea can you think of? Please share with us in the comments! Thanks for making Monday Matter today. I'm so glad you stopped by for a visit. Tomorrow's post will be the one dedicated to emergency lighting. The post got postponed but we will pick right up and keep on going. I hope to see you then. Is there any other scent that reminds you of sunshine more than the scent of citrus? It certainly brightens the atmosphere in the room and is most welcome in February in Indiana when the days are snowy and cold and sometimes dreary. 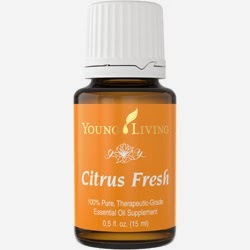 Young Living Essential Oils has a blend called Citrus Fresh and is one I love to have in my diffuser at this time of year. 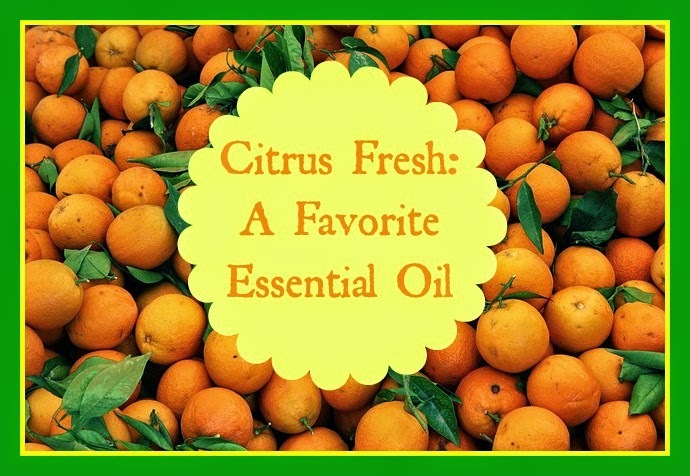 The oil is a blend of orange, tangerine, mandarin, grapefruit lemon and spearmint. much year round now and are considered to be one of the healthiest foods around. The vitamins they contain are essential to your body as structural materials for healing and health. The blend of the oils in Citrus Fresh come together to create uplifting freshness in your home when the scent is diffused. When you are performing difficult tasks, consider diffusing it to increase your focus and alertness. It also helps cover odors that may be lingering in your home in this time when it is too cold to have your windows open. Another use that I like is to put a drop in my drinking water. For me, drinking water is easier when it is ice cold and has a bit of flavoring. One drop is enough to create a citrus-y, minty freshness in my glass of water. For a really refreshing change of pace for the children (and adults too! ), make Citrus Fresh popsicles with water and a few drops of the oil. It tastes great and has no sugar or artificial coloring. You can also make ice cubes with it. Citrus fruits have long been associated with well-being and I hope you consider adding Citrus Fresh Essential Oil to your home for well-being too. If you don't have this essential oil, use a small saucepan and simmer orange slices or other citrus over very low heat to fill you home with a wonderful scent. I'm so glad you stopped by today. 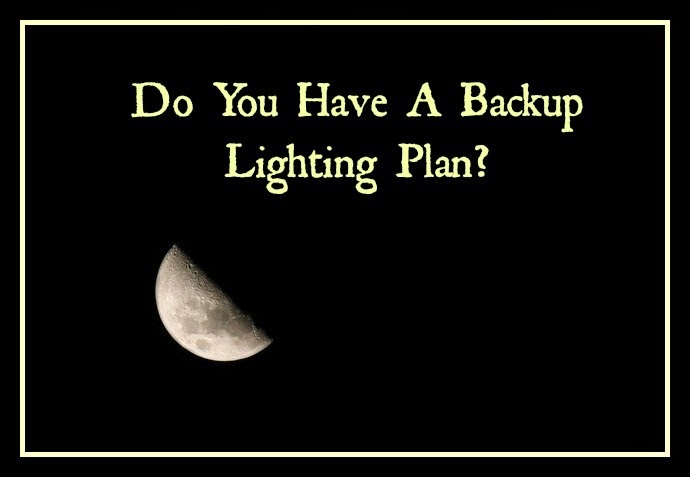 Tomorrow, I'll investigate different ways to prepare for a winter time power outage, specifically methods to use for backup lighting. A winter night will seem very long if you don't have some way to provide light. I hope to see you then. I want to send a big thank you to Brenda W. who donated The Hope Chest: A Legacy of Love by Rebekah Wilson to the farm library. Your generosity is so appreciated. The book certainly piqued my interest because I remember being a young girl and wishing I had a hope chest. I have to say, I never really got one and I didn't have one for any of my daughters either and I regret that now. 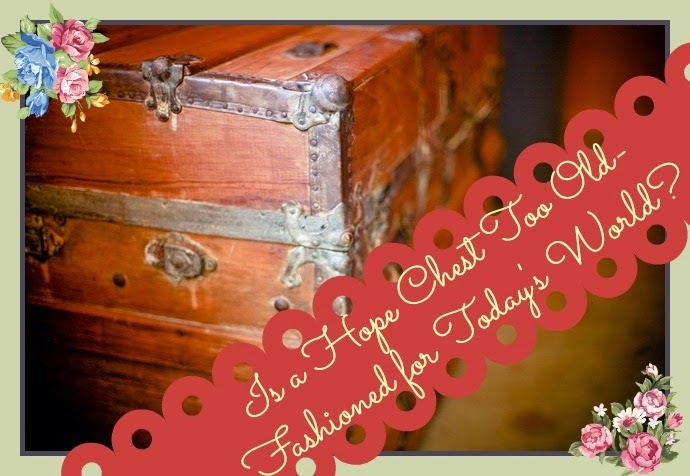 The concept of a hope chest is to fill it with items necessary to set up a home of your own - particularly with items that have been handmade because it is the learning of the skill that is integral to the process. The contents of a hope chest are as varied as each family is from one another. One hope chest may be filled with fine linens ranging from napkins, tablecloths, towels and bedding while another maybe filled with recipes handed down from generation to generation or even heirloom seeds. 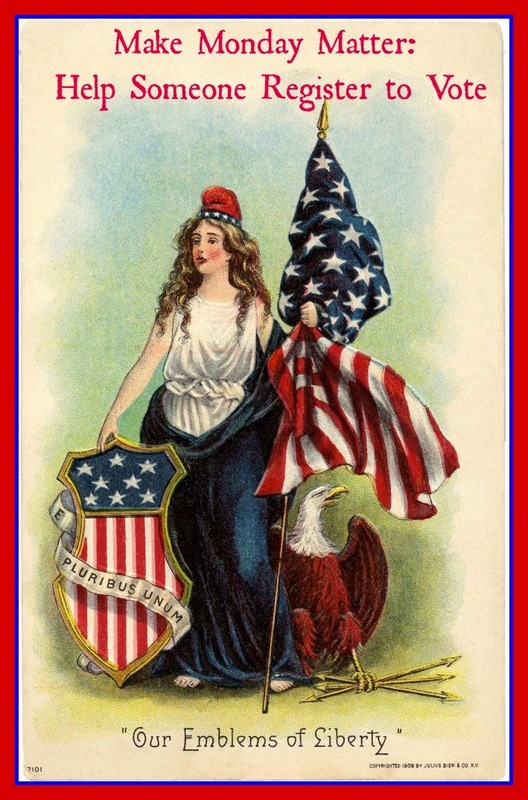 It is less about what is in the chest and more about the heritage it represents. I was happy to read that a hope chest can be as simple as a shoebox or as elaborate as a finely carved cedar piece of art. While not nearly as fun, it could even be one of those totes you can get at your local dollar store. The book is a very pleasant one to read and full of history and useful information. It really helps you consider what legacy you can pass to the next generation. One thing that I want to be clear about is that this tradition is not just for your daughters. Your sons also need skills and tools to prepare for independent living. I was happy to see a small section devoted to the boys too. These days, it is much more common for the bridal shower to replace the hope chest but all those tangible gifts on the store registry cannot replace the traditions and memories unique to your own family. Some things I'm thinking of including are traditional and non-traditional. For example, how about along with the hand embroidered linens you include a favorite book or piece of music? Rebekah Wilson also recommends including journals as part of the family legacy. Note that she recommend journals not diaries. Diaries are very personal. Journals are more an accounting of the day to day events. I love that I can still start a hope chest for everyone I love, even for myself. The book makes that suggestion and I think it is a great one. Let's go save some family memories! Today I'm going to take you on my journey to learn an important life skill: food preservation. 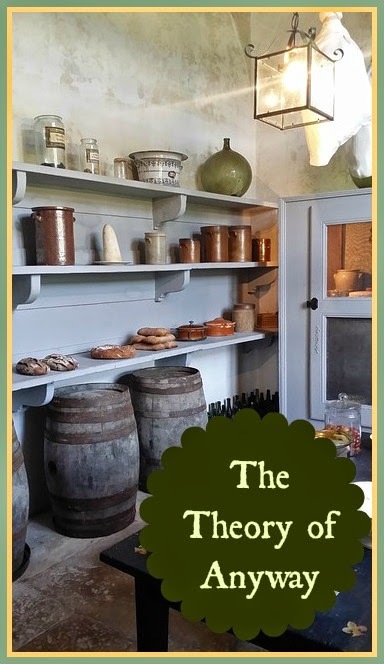 I grew up near the kitchen when canning was taking place but was never invited in. I was invited to pick endless rows of green beans and tomatoes but then was shooed away to play and I was happy for it. Years later, I found myself living on this hobby farm and growing tired of buying all my food at the grocery. I was learning to garden and wanted to save that produce the "old-fashioned" way. It was time to learn to can. By the time I was ready though, all my relatives who would have been my teachers were no longer able or around to do it. What was I to do? Honestly, I was a little afraid. I was afraid that I would make a mistake and give someone food poisoning. I was afraid that the pressure canner would explode and kill someone (after all, wasn't that the reason we couldn't be in the kitchen?). I wanted to learn for many years but never took the step. I finally stumbled upon the opportunity I needed and it came to me in a way that I knew it was do it now or just forget about it. I was talking to another farmgirl with MaryJanesFarm who mentioned she was going to learn and didn't I want to too? I'm so glad I accepted her invitation. I laugh about it now because I traveled ninety minutes each way, once a week, for five weeks for an all-day class to learn something I should have learned in my Aunt Mary Alice's kitchen. I paid money to do it and I rearranged my work schedule. I was determined to get over IT - it being the fear. I would not have gotten that level of instruction in that kitchen in rural Indiana in the early 1970's. Watch One, Do One, Teach One is an excellent way to learn because it encompasses all the learning styles and then builds your confidence when you actually are able to teach it to someone else. The program I completed (and yes there is a test) earned me the honor of saying I am a Master Food Preserver and I am so proud of that. I'm also so proud that my pantry is filled with jars of healthy food that I grew myself, prepared myself, preserved myself and will feed my family. The peace of mind is such a gift. The program was offered through our state extension office and was offered in only a few counties in Indiana. Other states offer the program too. The program is based on curriculum from the National Center for Home Food Preservation (NCHFP) which was established by the US Department of Agriculture to research safe methods of preserving food. That website is a treasure trove of information related to canning, freezing, drying and fermenting foods. It is my first choice for seeking information anytime I have a question on food preservation. It is easy to submit a question too if you don't find the answer on the website. The class, the website and my own continuous learning has given me the confidence to gain and grow my skills related to canning and I am happy to teach anyone else to do it too! Please look over all the NCHFP has to offer and consider finding a class in your area. The NCHFP has free lesson plans to teach our children this important skill so get out there...watch one, do one and teach one. You will be so glad you did! Happy Monday - time to make it matter! I'm so glad you stopped by to visit. The topic for week 11 is to register to vote. I hope you are already registered and if you are, it is time to help someone else get registered. According to the US Census Bureau, around 30% of eligible-to-vote Americans are not registered to vote. Three out of every ten adults have not taken the step to exercise this important part of our democracy. We have a system that systematically transfers power peacefully and that has been a hard-won gift from our the individuals who came before us with a vision for democratic government. Regardless of your politics, the PROCESS of voting is an important responsibility to our future and the future of our children. In many states, you can register by mail using the National Mail Voter Registration Form (can't use this in North Dakota, Wyoming, American Samoa, Guam, Puerto Rico or the U.S. Virgin Islands - in New Hampshire you can only use it as a request for an absentee mail-in voting form). You can use that form to update your address too if you have moved. In twenty states you can register online. Is your state one of them? Check here. I voted my first time when I was 17 in the primary before the presidential election between Carter and Reagan. It was a great honor and I haven't missed an election since. I hope you take advantage of this opportunity to participate in our government structure. Please register if you haven't and convince someone else to do so too. It is a Make Monday Matter exercise that will have benefits long into the future of this country! 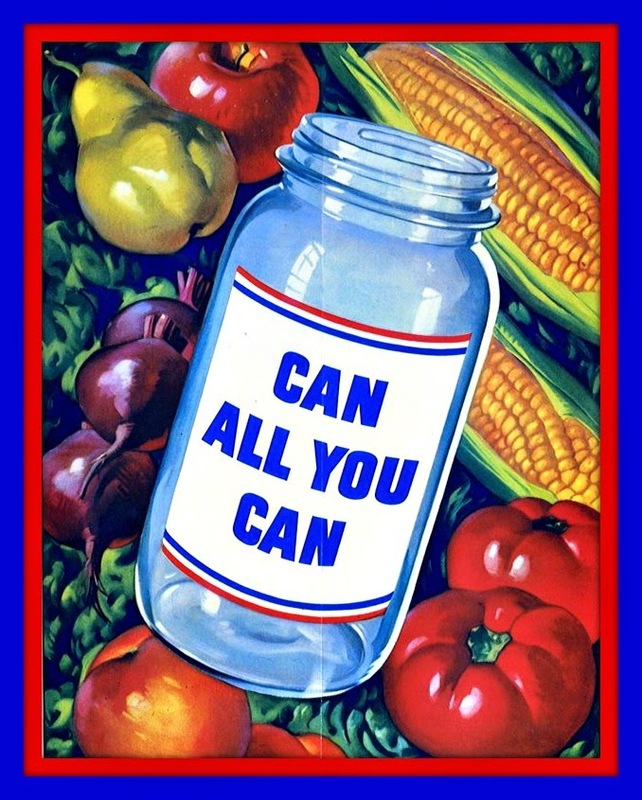 Tomorrow, I'll tell you about my journey in learning to can foods - both water bath and pressure canning. It was a long time coming but I am happy to call myself a Certified Master Food Preserver. I hope to see you then. Sharon Astyk has reviewed a theory related to emergency preparedness that she calls the "Anyway Project". She relates that you can make changes that help prepare your family for emergency situations and that are good changes to make "anyway". For example, gardening is a good way to grow your own food supply to have in an emergency but it is a good idea "anyway" in order to provide your family with healthier, more nutritious foods. Or, hanging your laundry on the clothes line is a good way to decrease your electric bill but it is a good idea "anyway" in order to decrease the need for electricity to be produced by coal-burning processes. What examples of "anyway" do you practice? Stocking your pantry is one of those "anyway" projects you can build upon to protect your family in difficult times. Those difficult times may come in the form of a natural disaster in your area or perhaps, even an emergency hit on your budget that leaves too little money for groceries. Buying food in bulk that will store easily AND that you will use regularly is a key component of preparedness. These are the foods basics that can be used in many ways to prepare different meals thus ensuring a constant rotation of product so that nothing spoils or goes to waste. For example, if you cook a pound of dried pasta every other week, why not buy 26 pounds and have all you need for the year? 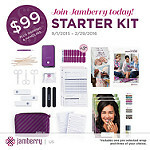 It will not be on your weekly grocery list anymore and you can purchase it at the very best price in bulk. This will help both your budget and peace of mind. The key factors to long term dry food storage are Temperature, Container and Moisture Level. To get started, pick one item that is on your grocery list often and calculate how much you would need for six months to one year. Once you know that, search for the best price and make your purchase. Store appropriately and then relax! You have prepared your family for an emergency by making a purchase you would have made "Anyway" over the course of the year. I'm so proud of you! Thanks for visiting today, I hope you find this post useful. Leave a comment if there is any other topic you would like to see in a future post - I bet it is something I would like to learn about too! Tomorrow we will Make Monday Matter by helping someone register to vote...one of the greatest privileges of our country available to us. I hope to see you then.